Alfa Romeo Stelvio Quadrifoglio Performance, Engine, Ride, Handling | What Car? It only takes a short stint behind the wheel to realise that the Stelvio Quadrifoglio benefits greatly from being based on the precise and accurate Giulia saloon. On fast and flowing B-roads, it feels light and responsive on its feet, benefiting from quick steering that manages to feel sharp and precise without being overly nervous. It immediately makes you feel like you’re driving a something far closer to a sporty saloon than a near-two tonne SUV. And while the Stelvio has four-wheel drive, we’re pleased to report that Alfa has managed to retain some of the rear-wheel-drive Giulia Quadrifoglio’s delightful mid-corner adjustability. If you give the Stelvio a big boot of power out of tight corners, you’ll find its rear end steps out of line nice and predictably, and then, once the four-wheel drive system decides to shuffle power to the front wheels, you get dragged out of the corner at a fair old lick. It’s addictive, good old-fashioned fun. 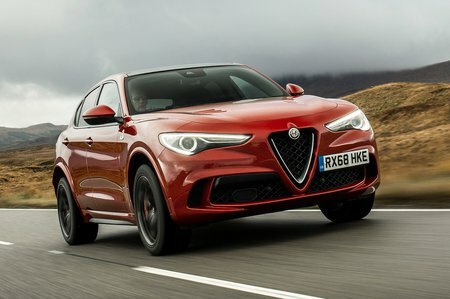 Less fun, however, is having to keep your eyes on the speedometer – an essential task if you value your licence, such is the Stelvio Quadrifoglio’s penchant for building speed. With impressive body control and four-wheel drive traction, it can be all too easy to get lured into deploying all 503 horses, even in wet and slippery conditions. Plus, the fact that every upshift of the slick eight-speed automatic gearbox elicits a delicious crackle from the quad exhaust pipes just makes you want to push on more. Of course, the downside to all this performance is that the Stelvio isn’t all that economical. We found the mpg figure hovering around the low 20s, which isn’t terrible, but it’s not all that impressive either. And despite the Stelvio exhibiting impressive body control out in the country, around town you can feel that Alfa has had to firm up the suspension to keep that extra mass in check, with small abrasions sending the odd vibration through the interior. 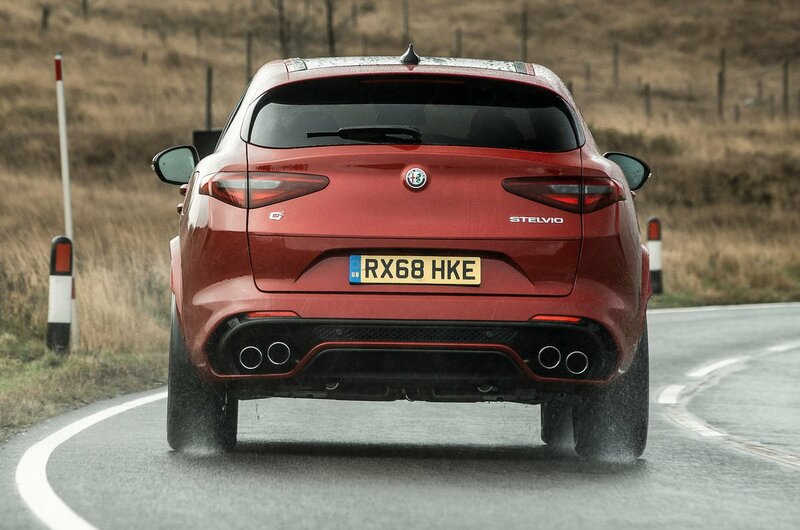 So, if you want to use your Stelvio Quadrifoglio as a city car, we’d advise you think twice.